Titanfall: Assault is a mobile real-time battle strategy game and a spin-off of Titanfall, a series of fist-person shooters known from home platforms. The production was developed Particle City and published by Nexon. The project is distributed in the free-to-play model and is meant for multiplayer play. The players command small units, trying to destroy the enemy base and prevent the opponent from destroying their own. Our forces include mechs with pilots – we can develop both the machines and the humans that operate them. Moreover, the title includes elements of card games – we summon units to the map by playing cards from a deck. Special effects are activated in the same fashion. Everything is shown with attractive, cartoonish three-dimensional graphics. A continuation of a multiplayer shooter by Respawn Entertainment, which was published in 2014 exclusively on PC, Xbox 360, and Xbox One. 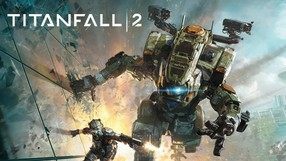 In contrast to the first installment, Titanfall 2 offers a single player campaign in which you assume the role of a resistance rifleman with the ambition of becoming a pilot. His chance comes as the owner of an Argus class Titan dies during his mission and the stranded machine chooses the protagonist as its new pilot. Gameplay in Titanfall 2 consists of controlling futuristic soldiers who can climb buildings, double-jump, and call in powerful war machines from orbit. The game follows the path of its first part, yet the developers decided to introduce some new gadgets and mechanics elements that made gameplay more appealing. 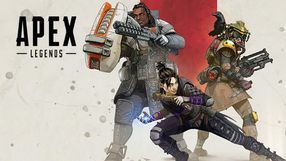 The game features six new Titans, each having unique abilities. A spectacular action FPP game, focusing on the multiplayer mode, produced by Respawn Entertainment and Electronic Arts. The story takes place in the far future, and the plot revolves around the conflict between powerful corporations and people living on colonized planets. The players take on the roles of soldiers piloting the eponymous Titans, which are huge, armed mechs. The game features only a complex multiplayer mode, allowing for up to 12 players to participate in a single online match. 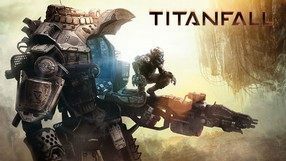 Titanfall utilizes a modified version of the Source Engine, resulting in a nice compromise between high-end audiovisual layer and moderate system requirements. Titanfall: Frontline is a mobile card. The game consists of one-on-one battles, which are played in real time. During these, players use the deck to activate skills and call up characters and mosses on the map, then give them orders. Network free-to-play shooter based on the first part of the Titanfall series. In the game we fight with pilots, i.e. soldiers of the future using special mosses summoned during the skirmish.